A collection of stories from clergywomen reflecting on the wage gap that systematically keeps women from earning as much as men for equal service to the Kingdom. New national data reveals that women clergy earn 76 cents for each dollar earned by male clergy. This is substantially worse than the national pay gap of 83 cents…In 2014, male clergy earned $1,007 per week; female clergy earned only $763. This is a $12,000 difference in annual earnings. The gap among clergy is noteworthy because, as an occupation, the clergy has credentialing (ordination) and educational requirements that should encourage similar pay for similar work. Over the past 18 years, the percentage of pulpits supplied by women has not changed, and the wage has actually lowered when compared to male salaries. Through a good friend in a clergywomen’s group, I was able to receive a dozen stories by clergywomen reflecting on their personal experience of the wage gap. Their responses are categorized below under the main problems I saw in this collection of stories. I removed identifying data from anonymous entries, but otherwise these are their stories. It starts out badly: when clergywomen begin at a new church, they are often (nay always) offered substantially less than their male predecessor, even when they are more experienced. After signing the contract, I knew I would probably get a little flack because I didn’t just ask what the previous pastor had gotten and required that amount (which is sort of the new vogue in interim ministry). But I was just so happy to be making more than what I’d made as an associate 7 years prior and to be finally in a real salary range. Turns out, the guy before me made $20K more than my contract. Two of my appointments have included significant pay decreases between my predecessor and me. My first, as an associate at a large church, was a $30,000 drop from previous male pastor, who was retiring. My second appointment was technically a step up for me (by $500). The previous pastor, with only a few years more experience, was given a $12,000 subsidy by the conference. I was paid only what the church could afford. A few thousand dollar difference due to years served and experience is understandable. But a $12k-$20k-$30k difference for the same work? There’s no way to justify that. When churches offer a pastoral position, full knowledge of the previous pastor’s salary and comparable salaries should be made available. 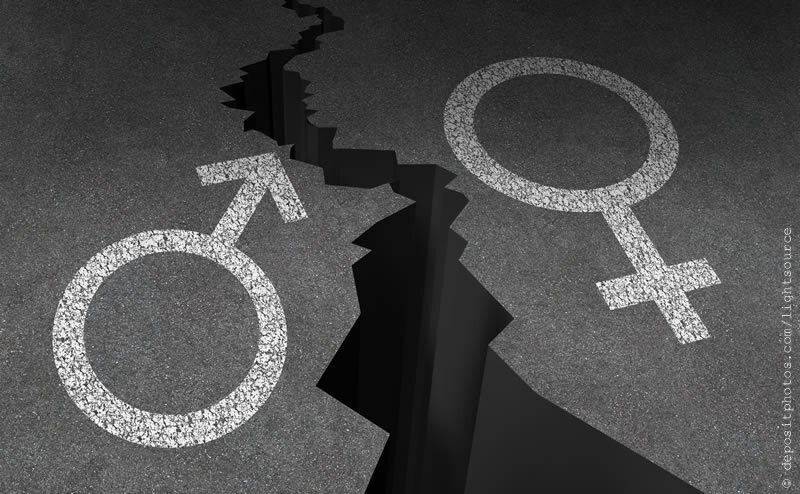 A key systematic problem is the ladder rungs between men and women are not equal, even in denominations that assign clergy to churches. If male pastors are offered higher salaries even once, then they are considered “more qualified” for larger churches later. In my first appointment at a large, wealthy church, I was an associate. My second year, a male associate was hired straight out of seminary, so less experience than I had, at a rate higher than mine. The church had a long history of paying female associates less than male associates. That same associate was there for 7 years, and when he left he was paid $20k more than a female associate on the same staff with 5-6 years MORE experience. Which means, of course, that he got an appointment at a larger, higher paying church than she would, which is how our system perpetuates itself. I have colleagues who are a clergy couple and were both associates at the same large church. Exact same experience level–graduated seminary, commissioned, ordained, all at the same time and then on staff together at the same church. They were each appointed to be solo pastors the same year, at churches fairly near each other. He was appointed to the church with the higher salary (by $6k/year). In my area/denomination, we have a call system. The calls that many of the women receive are half time. I am yet to hear of a man being offered anything less than three quarters time. The powers that be do ensure that we all receive salary at guidelines and health benefits. However, half time vs full time work makes a huge salary difference. Technically we’re all getting equal pay for equal work. Unfortunately, we’re not being offered equal work. We cannot obtain equal pay when there are two different ladders: women are on the one with smaller rungs that takes longer to climb, and men even start several rungs up. I’ve served as an Associate Pastor for seven years, serving currently under a female Senior Pastor, and I cannot, cannot handle these stories below. These are from female Associate Pastors whose Senior Pastors intentionally kept them at a lower pay. I was the picture of naïveté in my curacy a decade ago, and found out at my first convention that I was making $13K under diocesan minimum–all because my rector didn’t think I should make more than he had when he was an assistant. It was a very affluent parish, too. As soon as I took the the risk and brought it to the attention of our lay leaders (total no no in our polity, by the way), my salary was raised the next month. But even then it was a betrayal and made me seriously consider whether I would continue in ministry if I had to be so suspicious of the people I was supposed to be doing ministry with. I spent 9 years in the 5th wealthiest county in the country and in that 9 years I received only two small raises, one was at 2% and the other at 1%. My Head of Staff made over $120,000 with his total package and only if you added my entire package did I even come close to the very bottom of the average wage earner in the area. We didn’t get raises because the HoS didn’t want one, or because it took money away from the mission percentage he was hell bent on giving away. I made less than many of the Associate Pastors if you did the cost of living calculator for where you live, I have been ordained for 11 years and the church down the road from us hired a first time pastor and paid her well over 100k. When I first arrived I was under the presbyterys required minimum so they had to bring me up to the required minimum, and 9 years later I made only about $2,000 more a year than when I started. 9 years and only $2000 increase? Any similar profession would have surpassed that with Cost of Living Increases alone. I took an associate position at a vibrant growing parish. Rector was my age and only had two more years of experience over me and claimed he wanted someone experienced because he didn’t want to have to train a new priest. We had been friendly colleagues. I came in at the minimum, but when the minimums were adjusted, he claimed the church could not do it. So I concentrated on surviving. When the new budget was being talked about, I was approached by the wardens and the treasurer to see if I have any requests. I simply showed them the diocesan minimums. They knew right away that they were not doing the right thing. They were apologetic. They met and agreed to give me a raise that would start me toward receiving at least the minimum. When the rector [found out] he was very angry, and that one of the reasons he was angry was that he would not get the raise he expected to get at the birth of his third child, as he had gotten just such a raise from this parish at the birth of his first and second children. Senior Pastors have a responsibility to make sure their staff have a just situation before them and are treated equally. It’s unconscionable how these situations took place–and are echoed across the country. Women typically seek what they NEED and men seek to be paid what they’re WORTH. I can see truth in that in my experience. The responsibility should be on the church to substantiate why they pay what they do. However, it doesn’t work that way, and clergywomen have the additional undue burden of asking colleagues what they are paid and advocate to change their pay accordingly, or have someone else advocate for them. This is difficult to do (you read how it’s “just not done” in the above stories, right? ), even in denominational systems when the salaries are public knowledge. My first call out of seminary, I accepted my starting package whole-heartedly knowing it was enough for me to live on as a single woman who is very frugal. For my first several years, I never bought name-brand food or purchased clothes that were not on sale. My mother regularly sent me “thinking about you” checks. Much of my wardrobe was clothes I owned in college or got as a gift. [When requesting a higher wage], I gathered salaries and packages from other ministers in similar positions from around the area. In the meeting in which my request was denied, I was told, in the corporate world, it is a fireable offense to discuss your salary. Further, they had reviewed the information and still felt I was compensated accordingly. One specific package I shared with them was from a male colleague in his first position serving with a different title but similar responsibilities. His cash package was the same as mine, but he had added benefits such as the church paying his healthcare and pension separately. His total package was $15,000 more than mine. After a year of positive talks, I was turned down for the raise, but still expected to add to my responsibilities. I believe the leadership felt comfortable turning me down because I got married. Nothing was said explicitly, but I got the feeling that they believed they didn’t need to offer me a raise since I now have two incomes. What they didn’t realize is I make more than my husband does. Finally, I advocated for a raise for myself. To determine the amount, I did research about what my colleagues (who all turned out to be male) at similar size/similar location churches with fairly similar experience were making and gave it to them as a comparison. I made less than all of them, even ones with less experience and smaller worship size. My church responded well and gave me a generous raise; but it points out the systemic issues of who gets appointed where–women tend to get appointed to churches with lower salaries; and then because appointments are based largely on salaries, that system continues. I’ve never had to advocate for a higher wage, though I’ve had people advocate for me. I cannot imagine these situations, or serving at a church that did not value the cost of their clergy. My privilege indeed. Closing: Men, we must speak up! HackingChristianity has a several top posts related to clergywomen’s issues (1, 2, 3) because it matters very much that men speak up about gender inequality and injustice. Gentlemen, when women are the only ones talking about this, we are called as “shrill,” “screechy,” “b*tchy,” and other things most of which are rooted in the same sexism that causes this problem. If you think this is a problem, please say so. Then say so to Bishops, search committees, and at clergy gatherings. Making our world, including the Church, look more like the Kingdom of God is what we’ve all committed to in Baptism. Amen. May the Church live as the beacon of equality that the world seeks to emulate. Thoughts? Thanks to all the stories, and share your own in the comments or on social media. In my 35 year history, I will say our AC UMC is good about keeping the same salaries from appointment to appointment. The problem I see is 2-fold: our AC has been slow to put women into tall steeple churches (1999 for 1st woman in a stall steeple church); and we as women don’t want to put undue pressure on churches to pay a larger salary while the church is struggling with apportionments or other salary equity issues. I wills say that the churches I have served have paid their apportionments and supported more than 2 full time positions. I have appreciated the balance between a DS advocating for us and the Sr. pastor being realistic about salary vs justice obligations. You don’t want to hear all my stories from 25 years in UM ministry; suffice it to say that except for 2 yrs at a jurisdictional agency and one year plugged in to a higher salary appointment in a conference emergency, I started and finished at minimum salary. A major issue in the difference in pay for women, one which I’m now experiencing in retirement, is that lower pay leads to lower retirement benefits, which will affect the remainder of my life and all those in the same boat. I know that in Europe salaries are equalized, with subsidies for experience, responsibilities, and even family. It’s a much more just system. Your comment about our current pension system perpetuating inequality in retirement makes me wish our required UM church benefit contributions (e.g., CRSP defined contributions) were standardized across the denomination or each conference (e.g., churches required to put in 2% of DAC [denominational average compensation] plus 1% match). It would also make it easier for folks like me who are willing to take lower cash salary but then cringe when I see the lower church pension contributions that result. Thank you for picking up on this issue. Not discussed above, though, is maternity leave which has added at least to my salary woes. In my current position as an Associate (after 5 years Solo) everyone forgot to put maternity leave in my contract. Come a year later when it was to be discussed the whole thing blew up (ex: one man wanted to offer me 2 days for each year I’d worked), had to be taken back to the drawing table, and I ended up with 6 weeks maternity leave instead of being brought up to the minimum salary because of course I wouldn’t get both. And besides, the Head of Staff hadn’t asked for a raise that year (he makes twice as much as I do, though those who don’t see the numbers don’t see all of where he squirrels it away in the budget), so why should I ask for one? So much to say. So much pain and frustration. I will leave it at that, though. Moving itineracy away from salary-based appointments makes a huge difference in easing this inequity. This blog post describes what happens when a man gets a higher starting salary, negotiates higher salaries throughout his first appointment, and then is “eligible” for a large churches with large salaries in all subsequent appointments. This is the 1950s “climbing the ladder” mentality. (As my mother says, “the ladder might still be there, but most of the rungs are missing!”). Both the Missouri Conference & the West Virginia Conference (my two conference affiliations) are leaders in moving in this direction. My ordaining bishop told me that he would ordain me only when my husband (who was at the time unemployed) had a job the bishop approved of. I was poised to be the bread winner, but the bishop was certain that because I had just had a baby that I would decide to be a stay at home mom instead. After all, he told me, that’s what most career women do. Turns out I have always worked but my husband has been a stay at home dad thank you very much. PS: I have never heard of a man being told that his wife must have a job that the bishop approves of. Donny4Prez, so sorry you feel this way. All clergy, female and male, respond to a call from God. Most clergy, female and male, are underpaid compared to other career paths. This article is simply pointing out the disparity within this field. As all clergy, both male and female, are required to complete the same education and other other denominational requirements, the financial compensation should be the same. What career field have you been called to? And is compensation the same for both men and women in that field? Disparity exists from conference to conference within The United Methodist Church. After 6 years in one conference, I transferred to another and took a $10,000 annual cut that took me 10 years to regain. Though married, I was fortunate enough to have a spouse who was willing to move and always look for another job each time I was appointed elsewhere. Having recently retired after 31 years in ministry, it was difficult to see the new male pastor (not yet ordained, but with 5 years of experience) receive a much larger package than when I left that appointment after 11 years. I seldom received the minimum salary in my appointments, each church struggled financially, and I simply survived on what I was given. My retirement compensation will be a challenge, but sufficient for now. Many prayers for all women and men in ministry that we will one day all be considered worthy of an equal compensation. My comment was deleted for misogyny? Interesting. Those who want tolerance lack tolerance. Another problem I have experience is that from the very beginning of appointment I have seen my white husband appointed to larger church with better salary. In 20 years of ministry we now have $50,000 difference in our pension due to the fact that I have always been appointed to smaller struggling church while he has always been appointed to larger and more stable church. In addition, when I arrived in my currant appointment I learned that the white man I was replacing had been making $20,000 more than my previous appointment and this was his first appointment as a commissioner. He has moved on to lateral appointment which mean this was in base salary as he begin his ministry while it took me over 20 years to get where I am. I have seen huge discrepancy not only between male and female but also by race. White in general are appointed to better paying church while POC are appointed to smaller and struggling church. At this time, in our conference only White men are appointed in large churches and all the conference staff are white except for few token POC which we had to fight to get them in in last 10 years, it does not look like they are doing anything about being more diversive now that we have one of each POC in the cabinet. I will not comment at length because I have shared this on some pages that folks who read it will see this comment. However, I have seen in action some of the above in my conference and in other conferences. Another kind of story to add to the list: clergy couples and housing. Let’s say that the male of the couple is appointed to a church that has a parsonage and the female of the couple is appointed to a church that does not. The female should receive a housing allowance. But I know for a fact that some DSs have said that the church doesn’t need to do this because she will be living with her husband at the parsonage of the other church. As some have already pointed out, your salary today does have an impact on your retirement later. Higher salaries mean higher pensions, higher social security, and the ability to save more on your own. I will also note that some of this issue of salary could be related to the fact that women clergy, such as myself, may not be able to move as freely as male clergy to accept a position that is better paying and not say that I would ever be considered for those appts., THOUGH she should still be considered and asked. Husbands of women clergy usually are working in professions that are location-bound. They are not nurses or office assistants or have careers, like this, that are portable from one place to another. (I am not trying to stereotype “clergy wives” either. A lot of them are also public school teachers and that position is less portable than it used to be and very less portable as you age and get more education and come in at a higher salary–no new school district would hire you.) And in this marketplace, it is still difficult in some areas to find work, especially as you age. So for husbands to follow their clergy wives–that could be professional suicide for their husbands. And I would not recommend long distance marriages. It works for a while, but it’s harder than what you think it is. So even if there is a church that a female clergy could be appointed to that would have a higher salary, she could be location bound for a valid reason. I’m not excusing the above actions. These stories are truly despicable, especially for those clergy women who can move, and I’ve heard my share of them and have experienced some of this inequality as well. In some conferences, it is actually policy that clergy couples are only entitled to one housing allowance/parsonage so this disparity is actually enshrined in polity. In my school district we have a good insurance package, but if you are on your spouse’s insurance you get a lump sum buy-out each year. This is great if your spouse works elsewhere, but when spouses both work for the district there is no buyout for the one who isn’t the “head of household” on the insurance. I suspect it would be the same if the woman’s church had the parsonage. But it does seem like if they were paying the previous minister $X+housing allowance, they should at least be paying the new minister $X+(Y=housing allowance). I have my own story to tell, but the truth is that we have all been marginalized by the inequity in salaries. I would like to propose that we bring our concerns to our Annual Conferences this year in the form of resolutions that call for equity in clergy compensation/appointments. I plan to put a template on the GCSRW website in the next week that was used in the New England Annual Conference two year ago. Perhaps you will find another approach to legislation that might work better in your Conference. You don’t have to be part of GCSRW to write this type of legislation. Please consider this and contact me if you would like more information. My contact information is on the GCSRW website. I’m so tired of surviving.